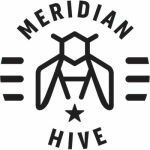 Meridian Hive is a leader in the reinvention of mead. We constantly push the boundaries to create a variety of distinctive flavor profiles and styles. Our modern mead provides a new and refreshing addition to the thriving craft beer and wine scene.